This month Chocolate Banquet has a salt focus, with three weeks dedicated to the subject. 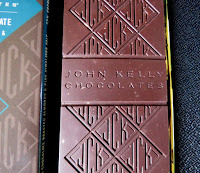 Last week, bars and chocolates with salt were highlighted. This week we're featuring chocolate offerings with salt and almonds. And next week, we'll explore chocolate and salted caramel. Although the history of sweets paired with salt is long, with the growing number of salt-sprinkled chocolates over the past decade, it's almost hard to remember a time when we didn't have so many high-quality chocolate and salt bars, confections and caramels. My first real memory of chocolate + salt was biting into a chocolate-covered caramel square sprinkled with gray sea salt from Fran's (Seattle, WA) over 10 years ago. (Fran introduced Gray Salt Caramels in 1999.) What's yours? Today was Day #3 of Chocolate, Salt and Almonds Theme Week. 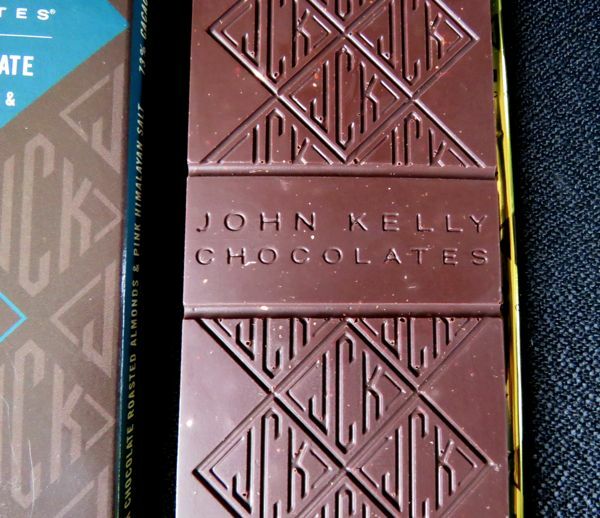 The Dark Chocolate Roasted Almonds and Pink Himalayan Salt bar from John Kelly Chocolates (Los Angeles, CA) contained small, crunchy, pink Himalayan salt crystals in every other bite—enough of a pause to enjoy the chocolate in between salt sparkles. 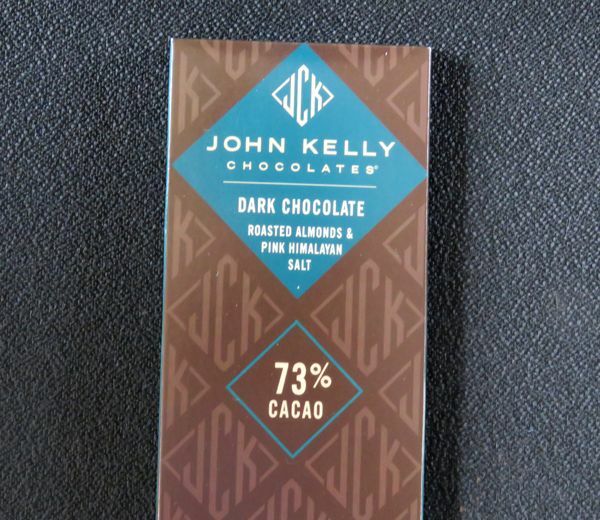 This 73% cacao (gluten-free, non-GMO and soy free) dark chocolate bar broke with a hard snap, had a slightly roasted flavor, and was not too sweet. 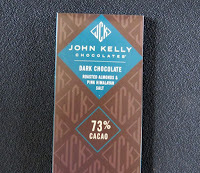 Bits of dry-roasted almonds, and the aforementioned salt, helped create a balanced bar.